The Republic Centre for Support of Persons with Intellectual Disabilities – PORAKA, as a member of the National Council od Disability Organizations in Macedonia and together with its local organizations, observed 3 December, The International Day of Persons with Disabilities according the guidelines given by the United Nations. In regard to observing 3 December, The International Day of Persons with Disabilities, the Republic Centre – PORAKA, in cooperation with the members of Theatre Pi, the actors Zlatko Mitrevski and Makedonka Ilievska, organized a multimedia acting performance “OXYGEN”. The main actors at this performance are persons with intellectual disability, beneficiaries of the Day Centres of the Republic Centre – PORAKA in Skopje. The performance was played on 8.12.2018 at the Multimedia Centre “Mala Stanica”. The performance was organized for observing 3 December, The International Day of Persons with Disabilities and represented an opportunity to show the possibilities and potentials of persons with intellectual disability. Moreover, it contributes to direct influence in breaking prejudice towards these persons. The Republic Centre for Support of Persons with Intellectual Disability – PORAKA was part of the joint observance of the International Day of Persons with Disabilities together with the National Council of Disability Organizations in Macedonia, as its member, and the National Coordinative Body for Implementation of the UN Convention on the Rights of Persons with Disabilities. The observance of the International Day of Persons with Disability was held at the Hall of the Government of the Republic of Macedonia. The theme was “Empowering persons with disabilities and ensuring inclusiveness and equality”. 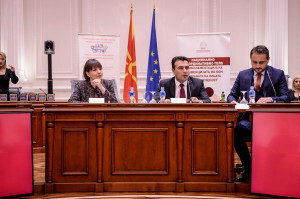 The President of the Government of the Republic of Macedonia, Zoran Zaev, the Minister of Labour and Social Policy, Mila Carovska, the National Coordinator for Implementation of the UN Convention on the Rights of Persons with Disabilities, Spase Dodevski, and the Head of the EU Delegation, Samuel Zbogar had their speeches. 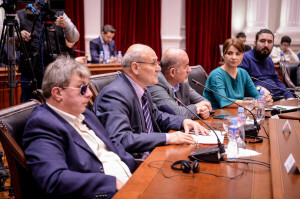 At the central observance of the International Day of Persons with Disabilities, the representative of the National Council of Disability Organizations in Macedonia and President of the Republic Centre – PORAKA, Cedomir Trajkovski, also had a speech, in which he emphasized that the mutual support is essential in creating equal society for all. 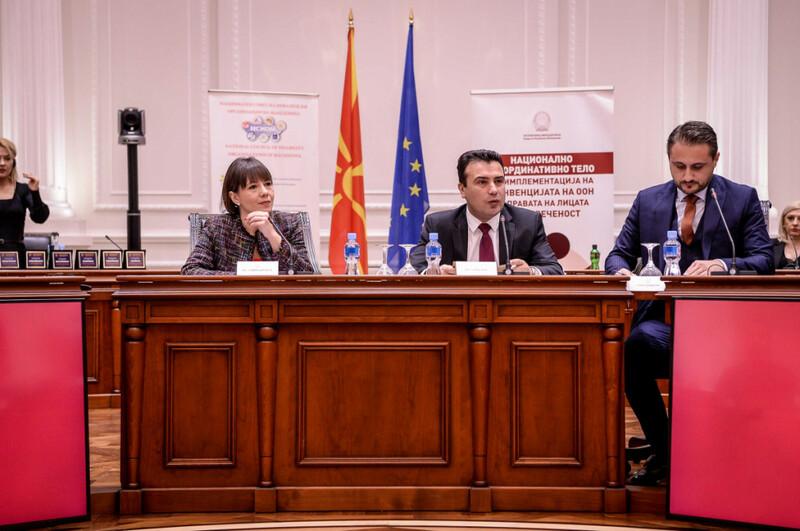 Also, for the observance of the International Day of Persons with Disabilities, the President of the Republic of Macedonia, Gorge Ivanov, had a meeting with representatives of the National Council of Disability Organizations in Macedonia, including a representative of the Republic Centre – PORAKA. 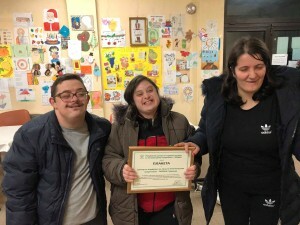 Within its activities for observing the International Day of Persons with Disabilities, the Republic Centre for Support of Persons with Intellectual Disability – PORAKA awarded a Plaque to the Centre for Support of Persons with Intellectual Disability – PORAKA Strumica. The Plaque is awarded as an expression of recognition for the achieved organizational development and successfully implemented activities for realization of the rights of persons with intellectual disability on local level. Sarah's Adventures - Campaign "Life as a safe adventure"
The Republic Center for Support of Persons with Intellectual Disability – PORAKA is a civil, parents, national disability and non-profit organization representing the rights and interests of more than 20.000 persons with intellectual disability in Republic of Macedonia.